I think I spoke too soon when I said recently that the new styles Irregular Choice were releasing lately weren't really my cup of tea. I guess that was before I saw these Hello Ha heels. 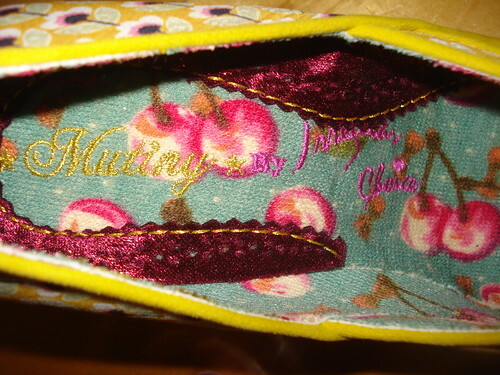 They're pretty much perfect, right down to the cute cherry print fabric on the inside. 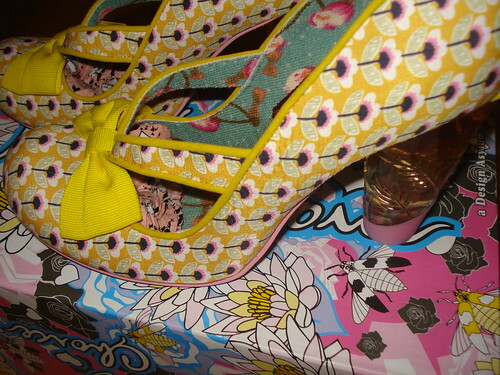 The floral print makes me think Orla Kiely, and you know how I feel about bows on shoes. I like the fact that they have the interesting front shape caused by the two straps across the front - this makes them a little different to the Bowtiful and Gravitational Pull which I guess are similar styles. The perspex heel is becoming fairly standard in the latest court styles and whilst I'm beginning to get a little bored of it, I have to admit it's a nice feature and does create a balanced shape on these round fronted styles. Do they make a shoe with the same print design as the bag????? 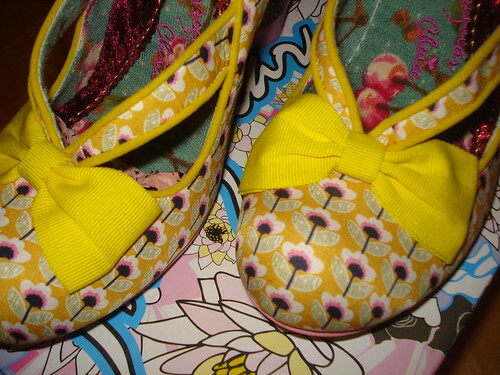 Loving the yellow binding and bows and the cherry print lining. Dare I type that I am not that keen on Orla Kiely designs; I know everyone and their mother seem to rave about them, but they do nothing for me! I don't think they make a design like their boxes, I wish though. 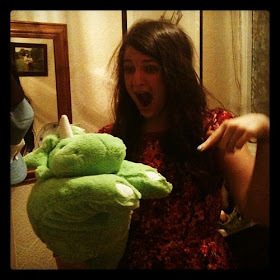 I'm not a big Orla fan either, to be honest. 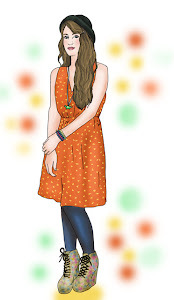 I think I've only really liked their very very recent clothes collections and their homewares have always just been a little too 60s / 70s for my liking. These shoes are lovely, you're right, they are very Orla Kiely! I can't wait to get around to wearing them! Now I need to find an outfit to go with them! They are lovely and summery in the floral and yellow. I think I'm going to save them for some sunny weather. I should think they will be super comfortable; the perspex heels do tend to be. You got them, yay! Soooo lovely. Yep, I couldn't wait after seeing them on your post!